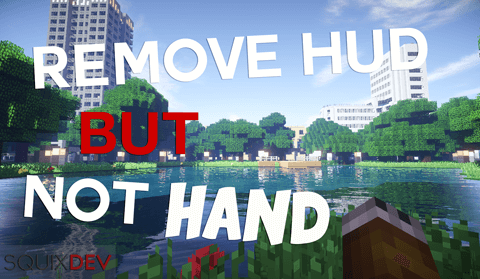 Remove HUD but Not Hand Mod makes it possible for all players to toggle Minecraft HUD visibility (like pressing the F1 key), but without hiding the player’s hand. 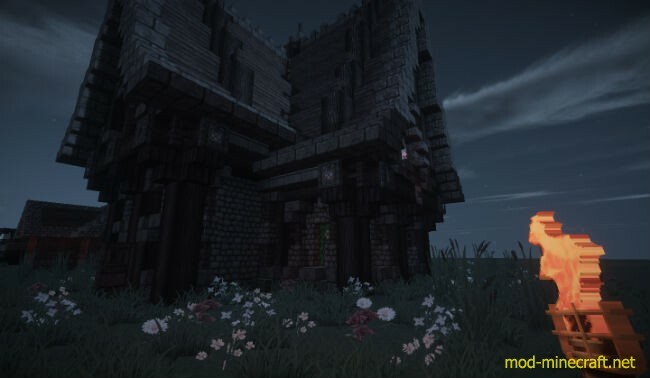 You just need to press one key (Default F8), editable in Minecraft ?Controls? Menu. After pressing it, the HUD vanish (like pressing F1), but the player’s hand stay visible ! A new press, and the HUD reappears immediatly. 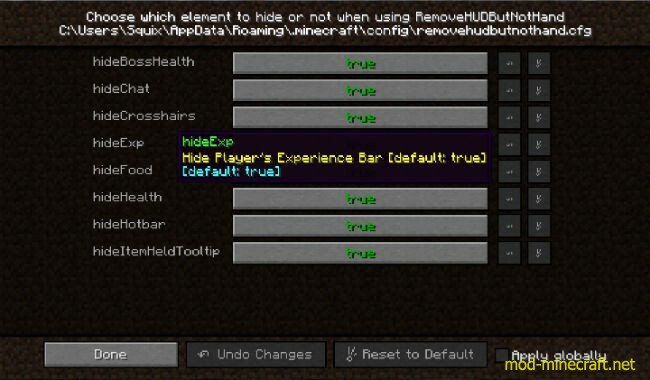 When pressing “Mod_Options” button of the pause menu, you can choose what will be hidden or not when pressing the key.